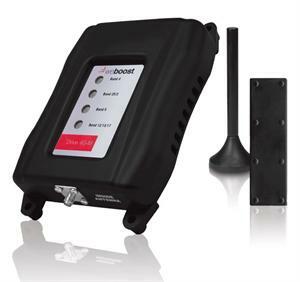 weBoost Drive 4G-M Mobile 4G cell phone signal booster improves coverage – including 4G, 3G, and 2G data downloads – for subscribers of all U.S. cellular networks (except Clearwire and Sprint SPARK). By boosting all major carriers’ legacy voice and data services, the Mobile 4G provides the user a strong, reliable signal, even where 4G services are unavailable. All cellular devices connect to the system wirelessly, and the Mobile 4G supports multiple simultaneous connections. 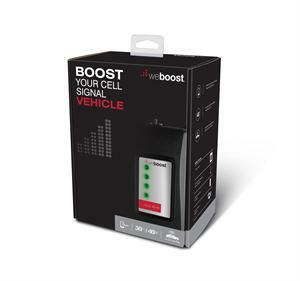 The weBoost Drive 4G-M 470108 Mobile 4G cell phone signal amplifier helps reduce dropped calls, speeds data rates in weak signal areas and allows users to originate calls from those dreaded “dead spots.” weBoost signal booster helps users stay connected around town and on the open road by detecting available cellular signal, amplifying it, and delivering the amplified signal inside your vehicle. You’ll enjoy extended calling range, clearer voice reception and longer battery life. Please verify Sprint frequencies for 4G compatibility in your area. Before use, you must register this device with your wireless provider and have your provider’s consent. Most wireless providers consent to the use of signal boosters. Some providers may not consent to the use of this device on their network. If you are unsure, contact your provider. You must operate this device with approved antennas and cables as specified by the manufacturer. Antennas must be installed at least 20 cm (8 inches) from any person.